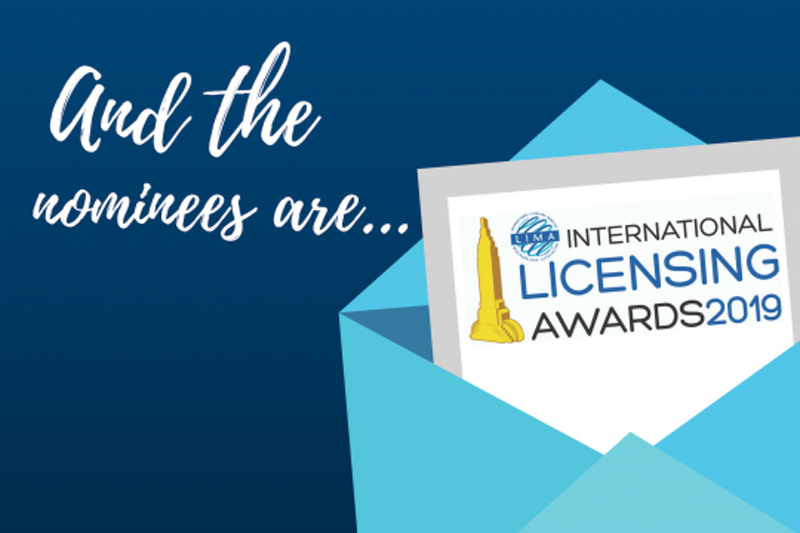 The ballot for the 2019 International Licensing Awards has been finalized, featuring 154 nominees vying for the industry’s most prestigious honor. For the first time in the Awards’ 33-year history, submissions and judging were held online As a result the Awards are more internationally inclusive than ever before The judging panel itself included nearly 150 executives from 18 different countries; and the 622 submissions this year came from 19 different countries, marking a new record. Next, LIMA members will weigh in and help select the winners, when the member voting period opens in a few weeks In May, all professionals who are part of the global licensing industry (LIMA member or not) will be invited to help choose the Community Choice Award, that is, the most popular entry from among all 154 nominees. The winners will be unveiled at a special Awards Ceremony on Tuesday, June 4, during Licensing Expo in Las Vegas, where the year’s Hall of Fame inductees and Rising Stars are also honoured This evening networking event and celebration is free for all Licensing Expo attendees. The Bugg Report would like to congratulate the Australian-based nominees for 2019.